The bilateral project aims to contribute to the improvement of the current situation with making input to the creation of critical mass of the foresters with new thinking, achieving the project main goal. GOAL OF THE PROJECT is to (i) increase competences, particularly practical knowledge and skills of forestry practitioners and forestry students in multifunctional close to nature forest management approaches and tools, (ii) establish training environment and develop the watershed condition assessment tool as well as (iii) expand the potential of foresters in forest related environmental education in Carpathian region of Ukraine using USFS experience and expertise. WP 1. Capacity building of the foresters and student on multifunctional forest management and close to nature silviculture. WP 2. Promotion of the watershed management approach in Ukrainian Carpathians using the adjusted and tested USFS Watershed Classification and Assessment Tracking Tool. WP 3. 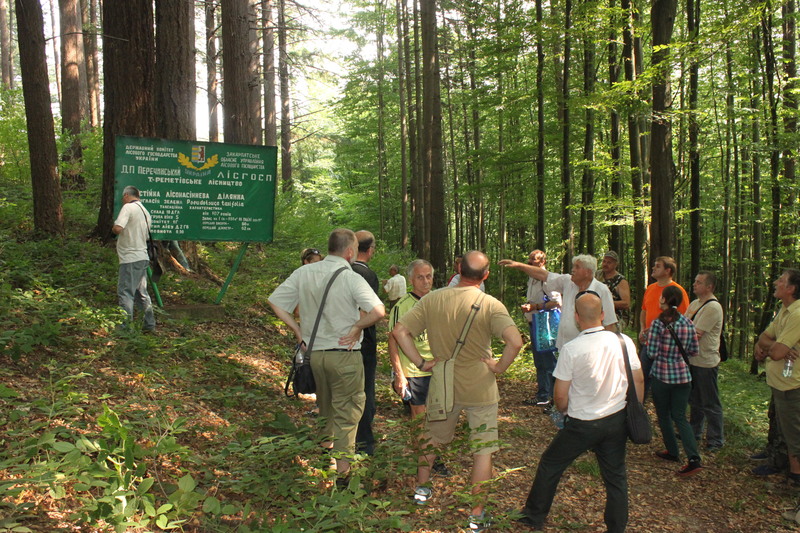 Expanding the potential of foresters in forest related environmental education for children, youth and general public in Carpathian region of Ukraine. WP 4. Project management, collaboration, internal evaluation and reporting. On September 25 and 27, Mr.
Come in Green - Support the Forest - Get a Prize! This Action was part of the Forest Fest in Uzhhorod on September 16, 2017.